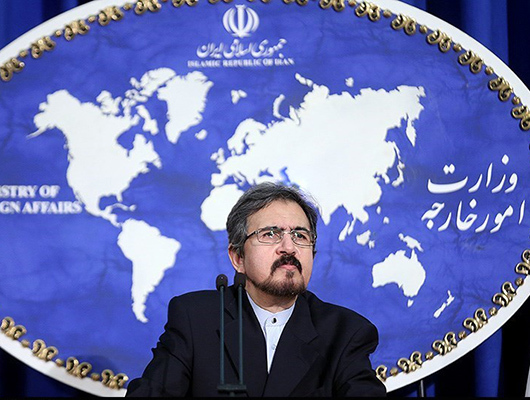 Iranian Foreign Ministry Spokesman Bahram Qassemi strongly condemned a US-led coalition airstrike on a mourning procession in Iraq’s northern province of Kirkuk, which killed at least 15 women and injured many others. In a statement late on Friday, Qassemi cast doubts over the sincerity of the US-led coalition in its campaign against terrorism in Iraq and the suspicious attack in Kirkuk, which led to the killing of “dozens of innocent people of Iraq”. He further expressed his condolences to the bereaved families of the victims and called on those behind the attack to take responsibility and clarify various aspects of the tragic event. “Attacking innocent mourners is not acceptable under any excuse…,” the Iranian foreign ministry spokesman said. At least 15 women were killed and scores of other civilians injured when fighter jets operated by the US-led coalition bombarded a mourning procession in Kirkuk. Local official Amir Huda Karam said the airstrike targeted a Shiite place of worship in the town of Daquq, located approximately 180 kilometers north of the capital Baghdad, on Friday.